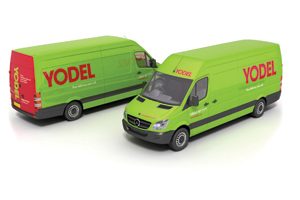 Parcel delivery company Yodel has appointed DBMT to run its employee reward programme following a four-way pitch. Yodel is the new corporate identity created following Home Delivery Network's purchase of the domestic B2B and B2C business arms of DHL Express (UK) through its subsidiary, Parcelpoint. The programme is being rolled out to employees across all parts of the UK business. The scheme involves nominations for individuals or teams whose behaviour embodies Yodel's brand values. It includes a website for nominations, events and incentive travel. Yodel's chief executive Jonathan Smith said: "When DBMT came to present ideas to us for our new colleague reward and recognition programme we were impressed by their creativity and how quickly they engaged with and interpreted our company values and business objectives." The programme is expected to include an awards event aimed at the top achievers, to be held in autumn 2011. DBMT's managing director David Bottrill said: "We're excited at the prospect of helping Yodel grow the brand."